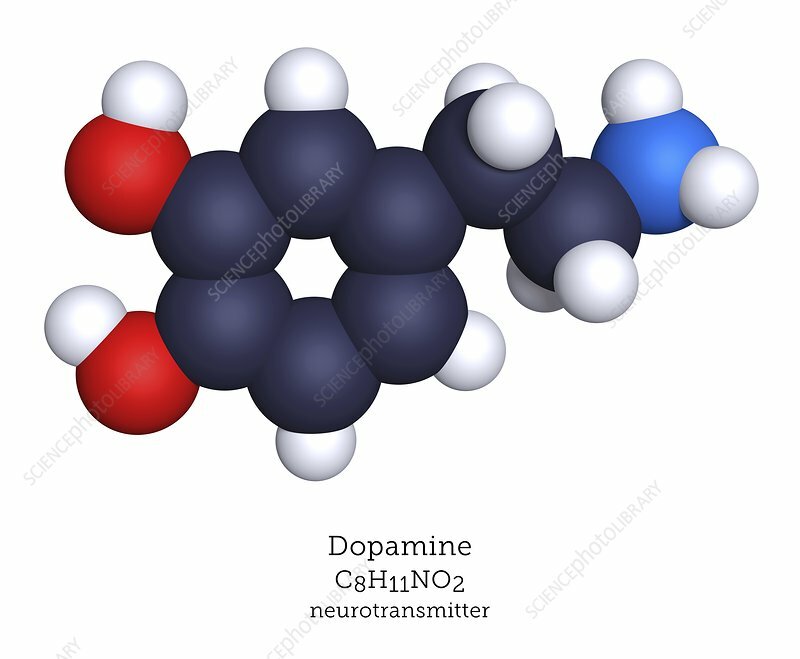 Dopamine is a neurotransmitter that modulates a wide range of biochemical pathways, primarily in the brain. Dopamine release is associated with pleasure and reward stimuli. Addictive drugs often either increase dopamine release or inhibit its reuptake. Atoms are represented as spheres and are colour-coded: carbon (black), hydrogen (white), nitrogen (blue) and oxygen (red).